A New York couple, Josh & Ting Li, who are obsessed with Apple products decided to get married inside an Apple store! Last Sunday, on Valentines day no less, Josh and Ting Li (both from New York) got married amidst a crowd of iPods, iMacs, and MacBook Pros. Speaking to Entertainment Weekly, Josh said that he and his now wife actually met in an Apple Store. “We got to know each other because Ting was looking to buy an iPod,” Josh recalled, “and I managed to strike up a conversation that way.” Ah, a tale as old as time. 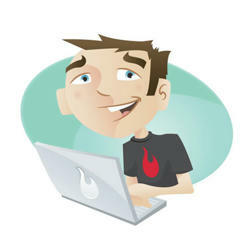 The priest was dressed like Steve Jobs, and read the service from a white iPhone. The rings were conveyed not on a pillow, but on a first-generation iPod. Her vows were written on a card that said “I love you more than this” with a picture of an iPhone. What you see here on the left is the Plastiki, the sailing vessel which David de Rothschild will, with a six-man crew, sail across the Pacific Ocean starting in San Francisco, California in 2010, ending his journey in Sydney, Australia after a planned visit of several sites of ecological importance or which are susceptible to environmental issues caused by global warming, for instance the current sea level rise, ocean acidification and marine pollution. 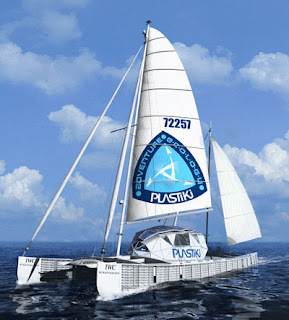 The Plastiki is a distinctive, one-of-a-kind 60-foot (20m) catamaran made out of 12,000 reclaimed plastic bottles and other recycled PET plastic and waste products. As of October 15th, 2009, the catamaran is under construction in Fisherman’s Wharf, San Francisco, California. The catamaran has a hydroponics garden, toilets, solar panels, camera & lockers for the crew. The crew is yet to be determined, but it is to be skippered by prominent British ocean sailor Jo Royle, and will carry up to six artists, adventurers and scientists at any one stage of the journey. The date of departure is in the fro-zone.